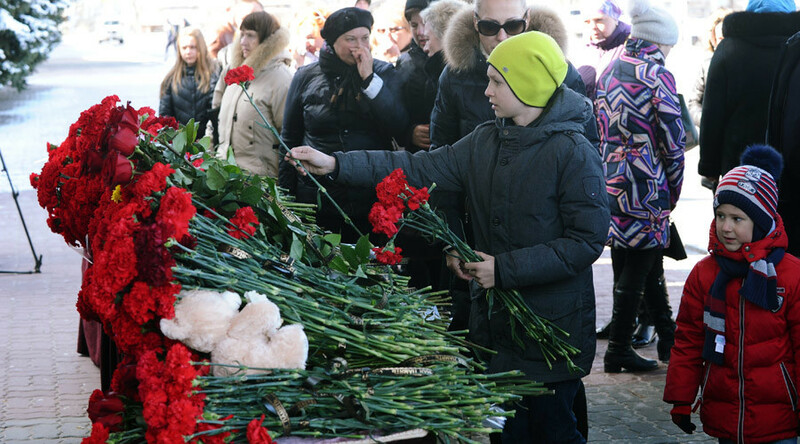 It is not only the families of the crash victims of Flydubai flight FZ981 who have been mourning their tragic loss – entire communities in two faraway cities, Rostov-on-Don in southern Russia and UAE’s Dubai, are in shock. “My friend, who I worked with, died in this crash. Like most [of people aboard the crashed plane], she was returning from vacation. A day before her return flight, she sent me pictures, she looked so happy in them. She was such a radiant and kind person. She was like a sun, despite having had not the easiest life. She lost her husband, and now her son lost his mother too. We are all crying, we still can't believe it,” devastated Tatiana Sergienko told RT. “It hurts. I’ve been coming to the airport for two days now. I still have some hope, although my mind tells me she won’t be coming back,” the weeping woman said. “You never expect it to happen in your hometown, people from all across Rostov are bringing flowers,” another woman told RT at the airport, saying she knew two people who had been on the fatal flight. “A young woman and a young man died in this crash ... they were not natives in our city, but many knew them very well, they worked at a spa here,” she said, speaking of two nationals from India. “They were amazing and friendly,” she shared, while the line of people bringing flowers to a makeshift memorial at the airport kept growing. In Dubai, from where the Boeing was headed to Rostov-on-Don, “the whole Russian community is shocked,” Elvira Richards told RT’s Paula Slier. “I was really scared to look through the passenger list because I assumed I would know someone on board. And I found out that quite a few people who my friends knew were on that flight,” she said, adding that she was devastated to find out that a woman who she knew from a beauty parlor in Dubai had been killed in the crash. “It’s quite a close-net community, most Russian speaking people here know each other or know of each other. Dubai is not a huge place, we all interact in one way or another,” she told RT. Flydubai captain Sasha Khamnev barely knew the pilots of the fatal FZ981 flight, but because he is well aware he could just as easily have been in their position he has launched a crowd funding campaign to raise $150,000 for families of the crew. Most of the crew were the sole breadwinners, says Sasha, who would send money home each month to support their families. He is hoping the donations pledged online, which come from across the world, will help them. 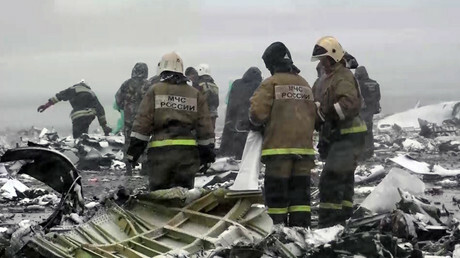 Apparently, the Flydubai plane crash claimed further lives – those of people not on board. One woman at Rostov-on-Don airport told RT her friend’s heart stopped beating, overwhelmed with grief for those who died. “None of my relatives or acquaintances died in the crash. But there’s one man I know, who passed away tonight. He worked for the airport service that was in charge of the runway. I think he died as a result of an intense feeling of empathy to the victims of the tragedy. He had a heart attack,” she told RT, struggling to hold back the tears. “He was in his sixties; loved life, loved to ski, played the guitar, was a genuine optimist. I can only offer my deepest condolences to his wife, daughter, granddaughter and all those who knew him. I'm in great pain,” she added. The Boeing 737-800 jet from Dubai crashed near the runway during a second approach in poor weather conditions in the early hours of Saturday. All 62 people on board were killed.